My family loves cookies. In fact we have never met a cookie we didn’t like. Snickerdoodles, shortbread, raisin, sugar – you name it, we like it! Of all the cookies in the world, Oatmeal Chocolate Chip are the all-time favorite. I can’t even begin to guess just how many times we have made this recipe. It’s probably hundreds. I was baking this cookie long before I ever had a family. It’s the first cookie my children ever ate, and the first one they request when it’s time to bake. This cookie has been wrapped in a bow, sold at a fundraiser, sent in the mail, served at a picnic, and munched right over the kitchen sink. I think these cookies are best served the day after they are baked, but that’s not to say they aren’t marvelous warm, right out of the oven as well. Like most good recipes, this one is simple to make. 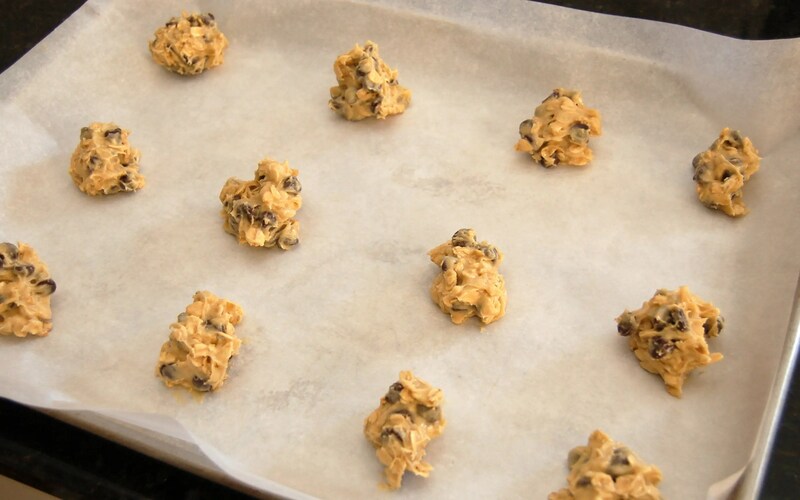 Just one bowl, mix it up and drop by spoonfuls on to a cookie sheet. 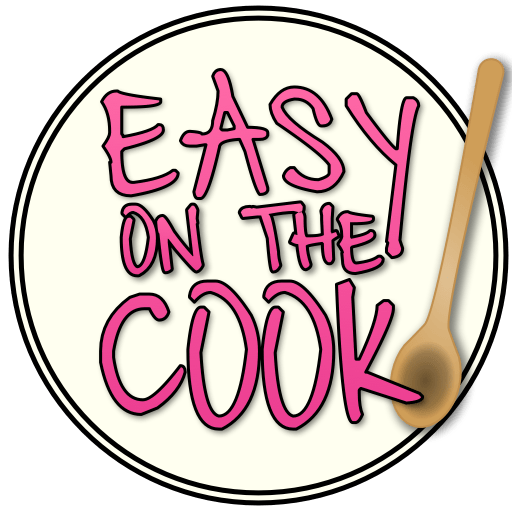 I line the cookie sheet with parchment just because I am pretty much queen of the parchment paper, but you can just lightly oil the cookie sheet or spray it with Pam. Cream together butter and sugar then add milk, vanilla and egg. Add in flour, soda, baking powder and salt. Mix. 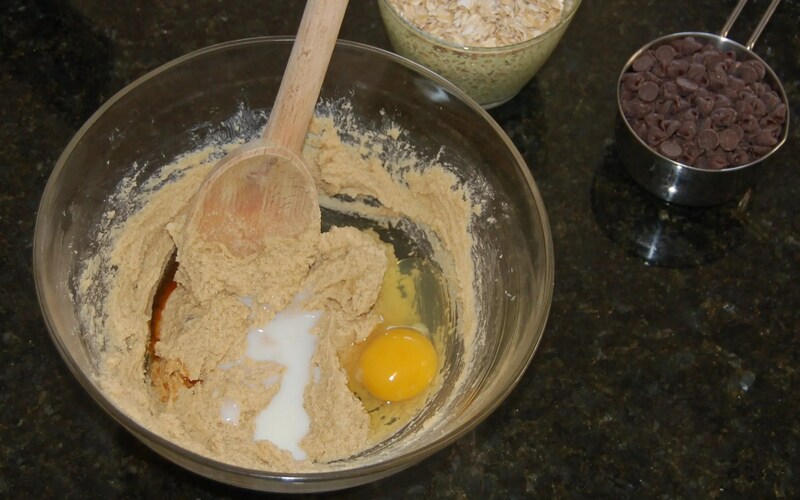 Then add in oatmeal and chocolate chips. Drop by spoonfuls on to cookie sheet and bake. 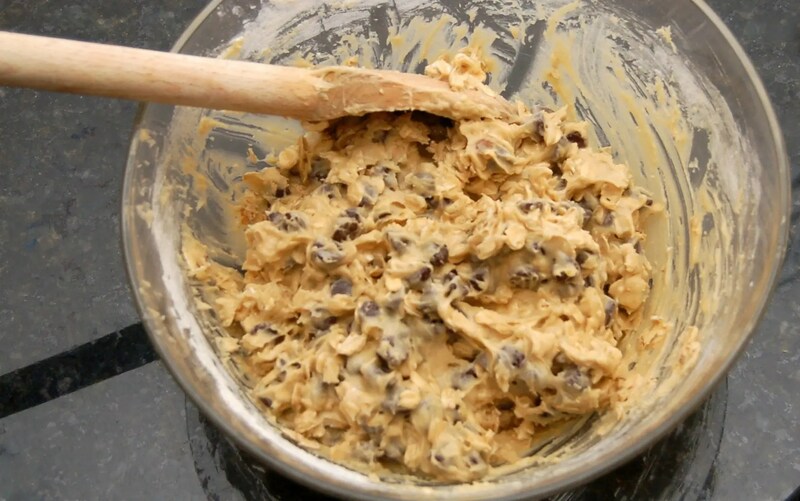 One bowl chocolate chip cookies! Yield: 20-30 cookies depending on the size. Cream sugars with butter until smooth. Add in egg, vanilla and milk. 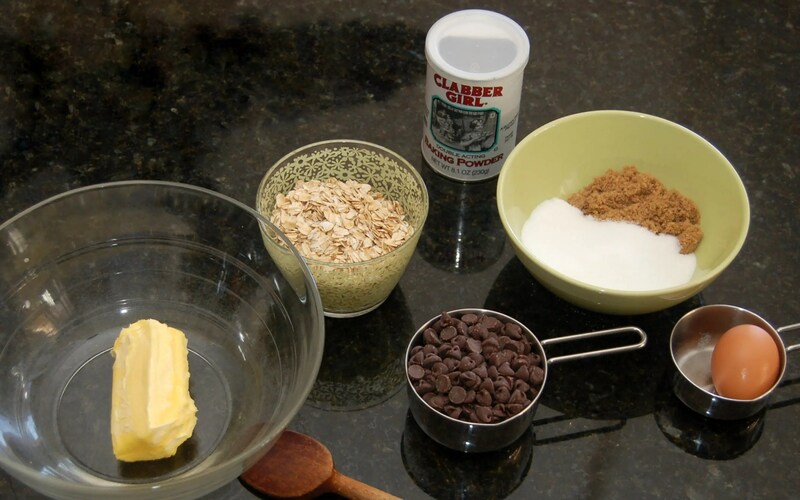 Mix in the flour and sprinkle with baking soda and power as well as the salt. Beat together until smooth. 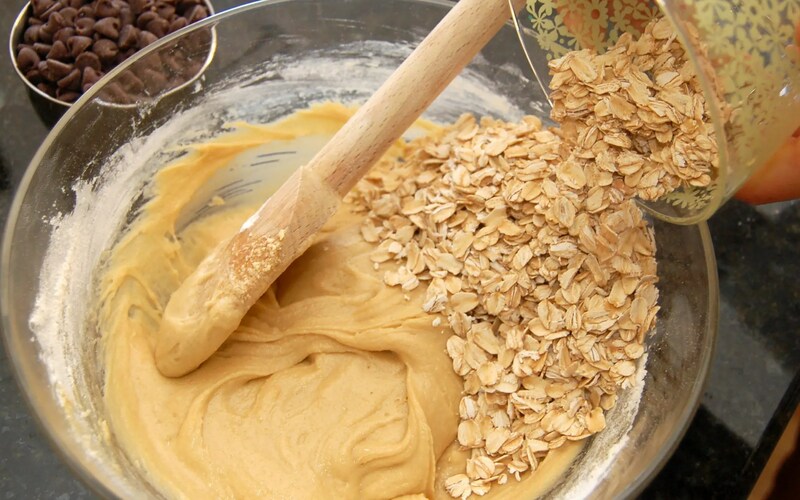 Add in oats and chocolate chips. Mix well. Drop by spoonfuls onto parchment lined cookie sheet (or lightly oiled) Bake at 350 for about 10 minutes. A little longer for crisp cookies, a little shorter for soft cookies! Enjoy.